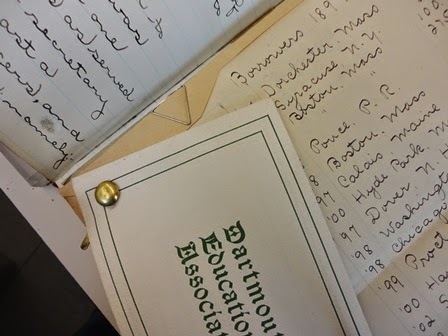 This spring a scrapbook compiled by the Dartmouth Educational Association came in for some minimal repairs. This archival volume is a bound book with numbered pages. 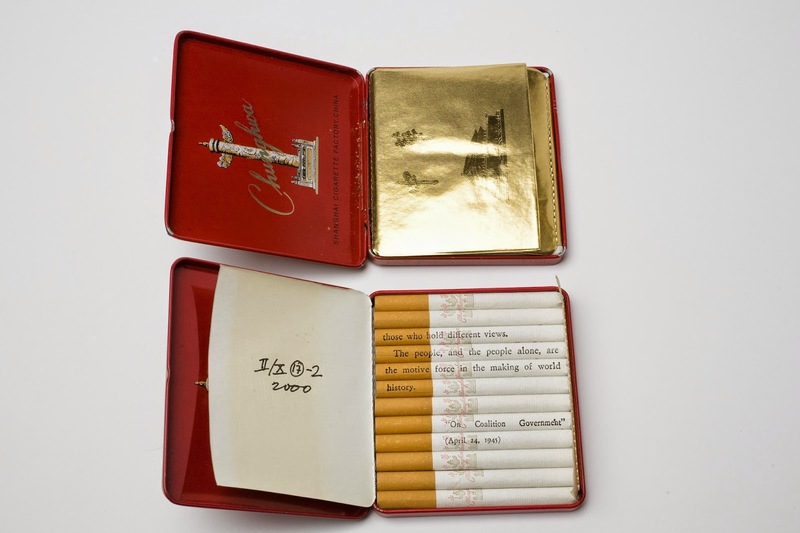 It holds a collection of loose items that have been added to the book over time. Scrapbook compilers have not always given consideration to the long-term effects of their methods, often choosing materials they have on hand. That’s likely the case with this volume, because only one of the methods (paper clip) doesn’t alter the item. Its contents, though, are in pretty good shape. Despite its overfilled pages, the book needed little more than a spine repair. I thought I would highlight some of the attachment methods used in this volume, concerns about their use, as well as share some tips for attaching loose items to pages with an eye toward longer-term preservation of those items. On this page, both a paper clip (the triangular silver metal piece) and a brad (the brass-colored item) have been used. Both are made of metal, which can be prone to rust over time in certain environmental conditions. (Though no rust was found here.) The brad also requires a hole in both the item and the page in which to place the flanges. Modern paper clips are available in plastic or coated metal that should not rust. Be careful of causing creases in the paper if using paper clips, and choose the proper size to accommodate the thickness of the papers. Interestingly, eyelets were used in this album. I imagine they were attached using an eyelet setter like this classic Bates Eyeleter. This method requires a hole in both the page and the item attached, similar to the brad attachment. Even without moisture to create rust, it’s possible for metal to discolor or damage the paper on a facing page as a result of friction or pressure. Some of the items were stapled onto the pages. Staples create holes in the item as well as the pages and can be hard to remove without causing damage to both. They are also made of metal and therefore can rust in a humid environment. It’s hard to tell whether this card was attached with paste or glue. Adhesives are a pretty permanent method of attachment. Some pastes (as opposed to glues) are often reversible, however they can leave evidence of their use. 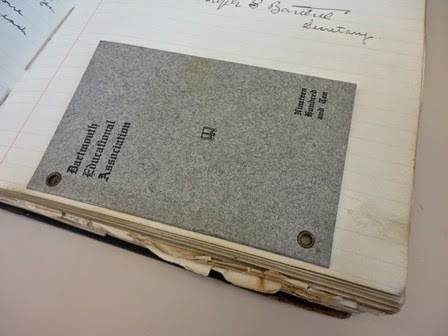 The items that were attached to these pages used some kind of permanent alteration to the item itself (application of adhesive or holes in the paper) except for the paper clip. When considering which attachment method to use in a similar type of album these days, here are a few other options that do not require applying glue to or piercing holes into the item, though they require glue or holes in the album page itself. To mount a photograph or other flat item onto a book page, make cuts in the base paper (a slit) or remove a narrow slice of paper (a slot) for thicker material. By locating these cuts diagonally at the four corners, the item can be slipped in and will stay without any adhesive. Photo corners come in a variety of styles: self-adhesive, gummed, clear, black or white paper, and they can easily be made by hand. Look for ones that pass the P.A.T. test (photo activity test) or have archival qualities, such as being made from acid-free materials. To make your own corners take a thin strip of acid-free paper (about 1/4-inch), at the center of the strip fold one side up at a 45-degree angle. Then fold the other side up to meet and match the first side. Now you have a corner. Vary the thickness of the paper strip to change the size of the corner for larger or smaller photos. Once the corner is created, use acid-free tape or adhesive to attach to the mounting page or board. 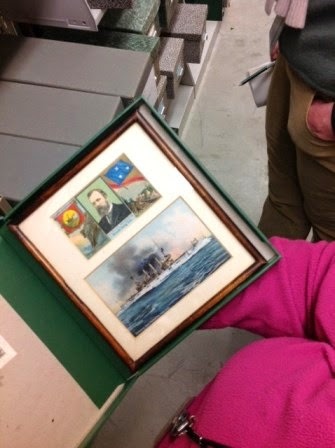 These can be used for other flat items as well as photographs. A simple way of positioning the corners is to use the photo (or a facsimile of the photo of identical size and thickness) as a placeholder. Determine the location of the photo on the page and place a clean weight on top of it to hold in place. Next slip the four corners onto the photo. Then remove one corner, add or activate the adhesive and place back onto the photo and press down to attach to the page. Then do the same to the corner diagonally opposite the first corner. This will stabilize the photo. Continue with the remaining two corners and remove the weight when done. Pockets or envelopes (choose ones made of acid-free materials) are a great way to add loose items to a page. They can be handmade or purchased and can be paper or clear Mylar. Mylar allows a view of the item without removing it. Use an acid-free adhesive (like glue or double-sided tape) to attach pockets and envelopes to the page. With all these methods remember to accommodate the thickness of the items added to a bound volume by balancing the binding edge thickness with the foredge thickness to avoid the foredge splaying out and the book not closing. For just a few items this shouldn’t be a problem. 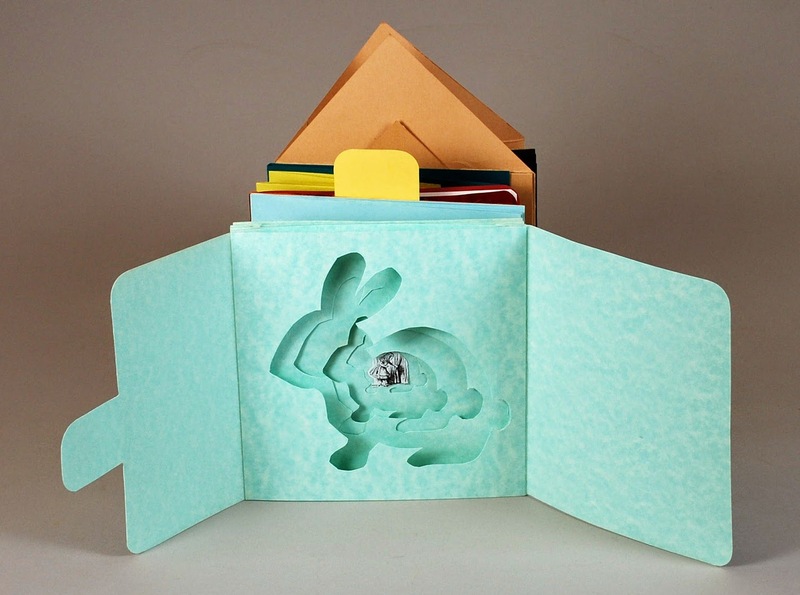 In my next post, on August 19th, I’ll explore attachment methods more suited to a creative or book arts application. Michael Grant, a student of NYU's Tisch School of the Arts has begun a ten-week internship in Preservation Services. Michael is pursuing a Masters in Moving Image Archiving and Preservation; in partial fulfillment of that degree he must complete three internships. Over the course of the summer Michael will inventory and assess the condition of 16mm and 8mm films collected by the college in order to help Peter Carini, the College Archivist, determine which films should be added to the permanent collection of the College Archives. The primary focus of the Digital Production Unit over the past few months has been to incorporate the new reprographic system into our workflows. Since we started using the new equipment in January we have been able to take advantage of its speed and high quality imaging in a number of projects. We have redesigned our workflow for the Dartmouth College Photographic Files collection to use the new camera exclusively. The previous workflow for this ongoing project used two scanners on two computers and required additional post production work to gather all of the images together. Our new workflow consolidates all of that work onto one workstation. The streamlined workflow has created noticeable positive effects in the time it takes to complete work on this project. One of the first projects we tackled with the new equipment was to shoot recent Winter Carnival Posters. This was a great learning opportunity for us. The posters are large and colorful and gave us a chance to develop our skills with the hardware and software. We will add individual new posters as they become available in future Winter terms. In addition, we are in the planning stages of a project to reshoot all of the posters to upgrade the quality of our master images. 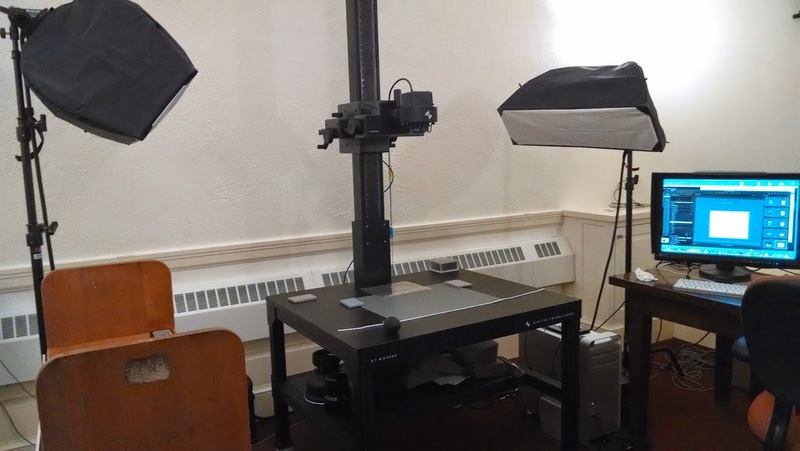 We have also been able to use the equipment in support of smaller projects in Rauner Special Collections and for exhibits by Education and Outreach. Other work with the camera includes one-offs for various projects, quality assurance and corrections. In other news, we continue to redesign our work area. 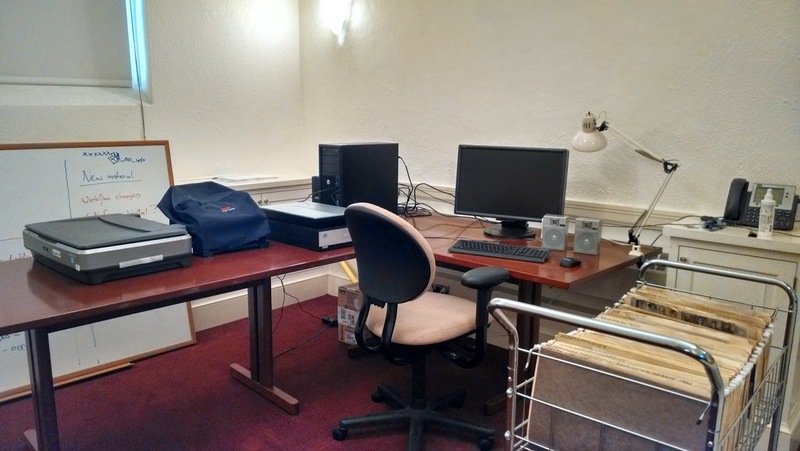 We recently moved all of the scanning equipment into room 2D, turning that space into our scanning lab. “Alice’s Adventures in Wonderland and What She Found There”, tied for Grand Prize. "Alices Adventures in Wonderland and What She Found There", inside. Gabrielle Pacia '16, Honorable Mention for "Do Not Go Go"
Please stop by the Treasure Room just off The Baker Library main hall, to view the other winners! This exhibit is not to be missed! 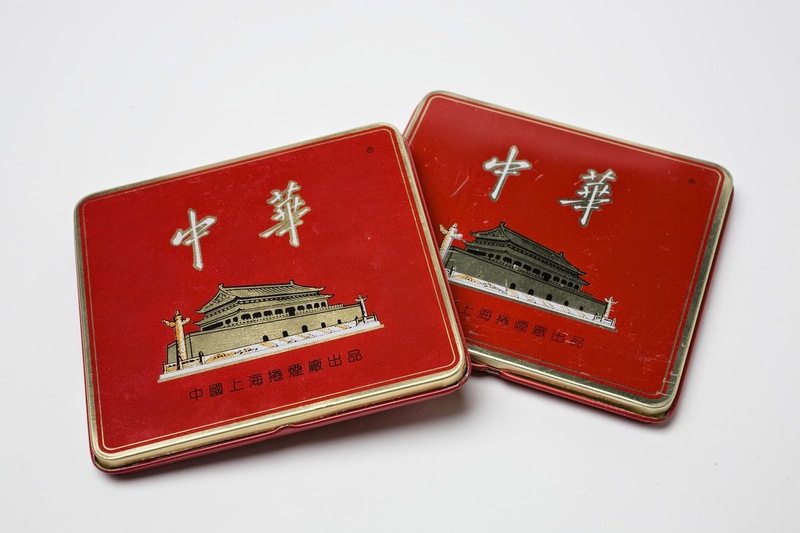 Today I'd like to highlight a few of my favorite Digital Collections from across the web. These are various odds and ends that are in no way meant to be fully representative of the incredible breadth of content out there. Rather, these collections represent my own pet interests, and I would encourage anyone reading this to seek out digital collections that speak to them, too. First I'd like to point you towards (surprise!) 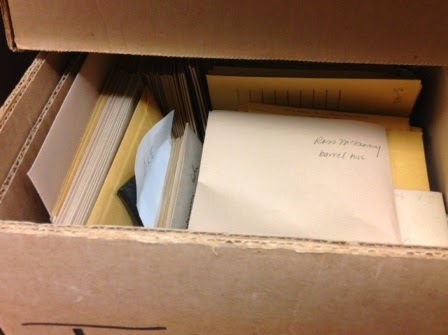 our very own Dartmouth Digital Collections. Our fantastic library staff has done wonderful work creating a diverse and fascinating collection of materials for digital browsing. 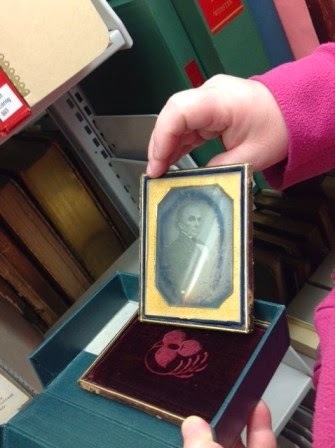 My personal favorite picks are the ever-expanding Photo Files collection, and the wonderfully quirky 19th century comic The Adventures of Obadiah Oldbuck (you can read more about Obadiah Oldbuck in this post I wrote way back in 2012). Obadiah Oldbuck: "Raising himself, Mr. Oldbuck perceives his ladye-love. She is not alone! Duel between Mr. Oldbuck and his rival. The next collection I'd like to direct you to is the New York Public Library's newly launched collection of historic maps. These are fascinating, and a wonderful peek into the art of cartography as it was practiced throughout American history. Of particular interest to me was the packaging on many of these real-estate maps, hyping upcoming auctions and the promise of land ownership. 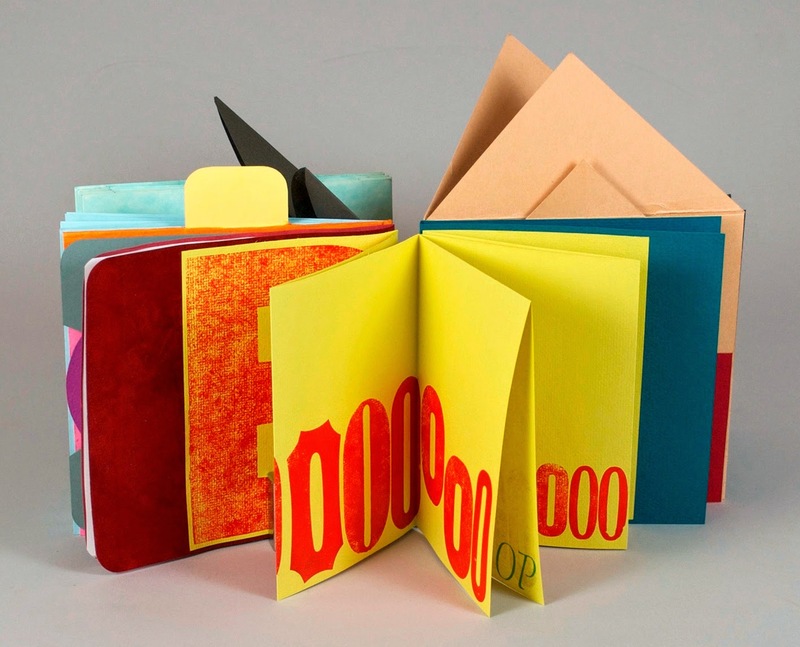 Meanwhile, across the country, a collection I had the privilege of viewing as an undergraduate is my own Alma Mater Reed College's collection of artist books. I am far from an expert in this subject and would defer to our very own wonderful Book Arts Program for more information, but even as a layman I can enjoy these unique and clever book designs. The amount of materials available on the web is expanding daily, and while it may seem daunting to sort through it, I've found the effort is well-rewarded. If you have a favorite collection, let us know in the comments! Happy browsing! One of the simplest tips to help preserve paper and other materials is to wash your hands before handling them, and to take special care when you do open or move them around. Avoid using excess stress to open books, and don’t “crack the spine.” When you move books, don’t slide them on a table, pick them up instead. Delicate pieces of paper can be placed in folders or on top of sturdier paper to support them when lifted. Keep food and drink away from these items. Moisture: High humidity promotes mold growth, corrosion, and degradation, while excessive dryness can cause drying and cracking. Fluctuations between extremes can cause warping, buckling and flaking. Many listeners have migrated their music CDs to their computers. Care for the computer music files as you would all digital files. For those who still maintain a CD collection, store your discs vertically as in a bookshelf in their original packaging. Protect discs from scratches and fingermarks by handling with care and put back in their cases after listening. If creating your own music discs label them with a non-solvent pen created for this purpose rather than a label. Keep those digital treasures safe! Schedule automatic backups through your operating system. Back them up using an external hard drive or Internet storage! Avoid-long term storage on CDs, DVDs, and flash drives.